779 Air Cadets located in Mount Hope since 1969 is one of 111 squadrons in Ontario and has had 1000's of youth participate in our squadron in the premier youth program in Canada. We typically have 75-105 cadets participating. Welcome to one of the premier youth programs in Canada. With nearly 75 years of rich history, tradition and tens of thousands of Air Cadet graduates, you are truly supporting our youth. Air Cadets is a program geared to youth between the ages of 12 and 18. Successful Air Cadets have graduated and moved on to take leadership roles in many fields of business and across society. Did you know that Chris Hadfield, heading up the space station, started as an Air Cadet? So did Marc Garneau, first Canadian in outer space, and Maryse Carmichael, current Commanding Officer of the Snowbirds and the first woman in this role. The list of successful Canadians who began as Air Cadets is long and continues to fill up each year, from Canadian country singer George Canyon to former Prime Minister Joe Clark. Nearly all of them attribute much of their personal values and skills to their involvement as a young person in the Air Cadet program. 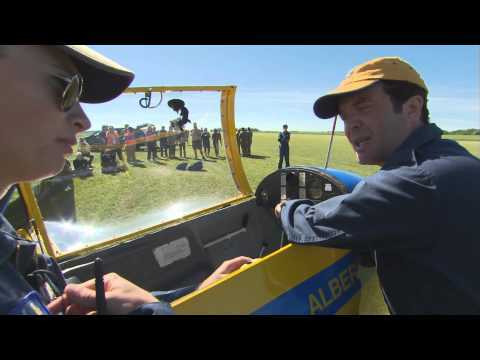 Air Cadet Leagues in Canada are probably our best Canadian programs for producing responsible Canadian citizens The cadet program emphasizes leadership. It teaches and puts into practice the same principles that major corporate, military and international leaders learn at Harvard University, in graduate programs across our own country, in military schools or even from the school of hard knocks. Thank you for your support of today's youth, tomorrows leaders. All donations are used to directly support the Cadet program and activities. Donations are not used for staff salaries or consultant expenses. ""The sky is not the limit""